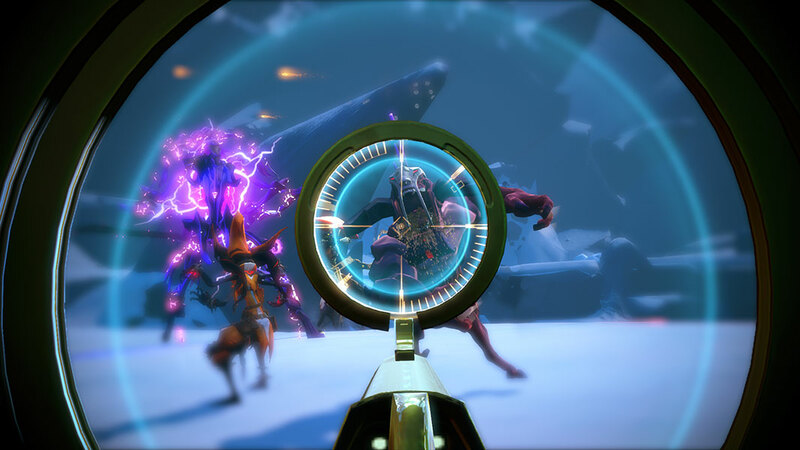 A tremendous band of badass heroes fight to protect the universe’s very last star from a mysterious evil in this next-gen shooter by the creators of Borderlands. To defend it, you’ll need to utilize every type of character and weapon you’ve ever imagined -- from cyborg hawkmen to samurai vampires to mini-gun wielding man-mountains. Slash and parry, run and gun, cast and dash, or simply obliterate foes all while building and growing your personal team of heroes. Choose your hero and fight alone or co-operatively alongside friends in story missions, or battle against them in fast-paced competitive multiplayer matches. ! •Incursion: Teams of heroes must defend their base from waves of AI-controlled minions while working together alongside their own minions to destroy their opponent’s base. •Capture: Teams of heroes face off in a fast-paced death match and must capture and hold objectives on the map to win. •Meltdown: Teams of heroes must guide their minions as they march to their death at the center of the map. Points are scored for every minion who throws themselves into the incinerator, and the team with the most points wins. 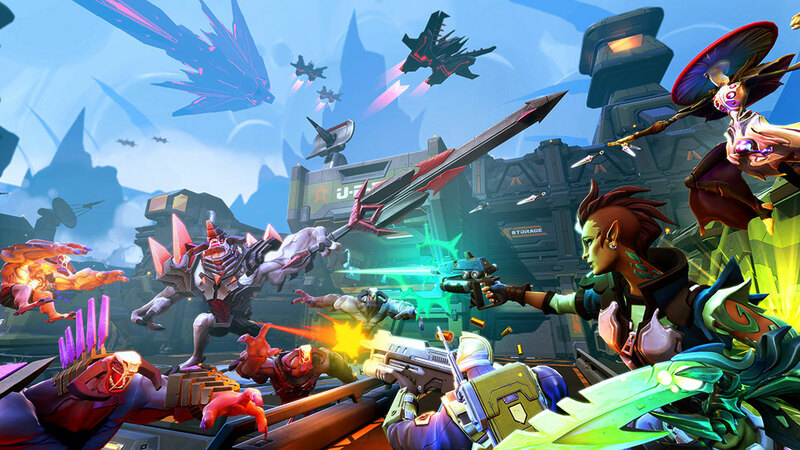 •Persistent Progression System: All experience points, whether earned through playing Battleborn’s Story Mode or Competitive Multiplayer modes, contribute to leveling up individual Character Rank, as well as player profile Command Rank. •Character Rank: Each hero can permanently rank up from 1 to 10 outside of missions and matches, allowing players to swap out augments in their helix skill tree, as well as unlock skins. •Command Rank: Players can rank up their own player profile, unlocking badges and titles to impress friends, and loot that can be used to benefit any hero the player chooses to command. •Factions: The last star, Solus, is the only beacon of hope for the universe’s surviving factions. 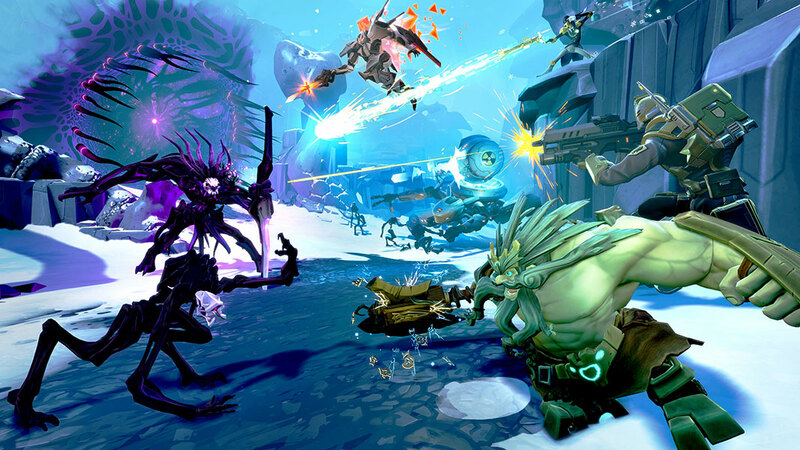 •Battleborn Heroes: Battleborn has a deep roster of 25 playable heroes and no two are the same. Every hero has their own personality and comes equipped with their own unique weapons and powers. 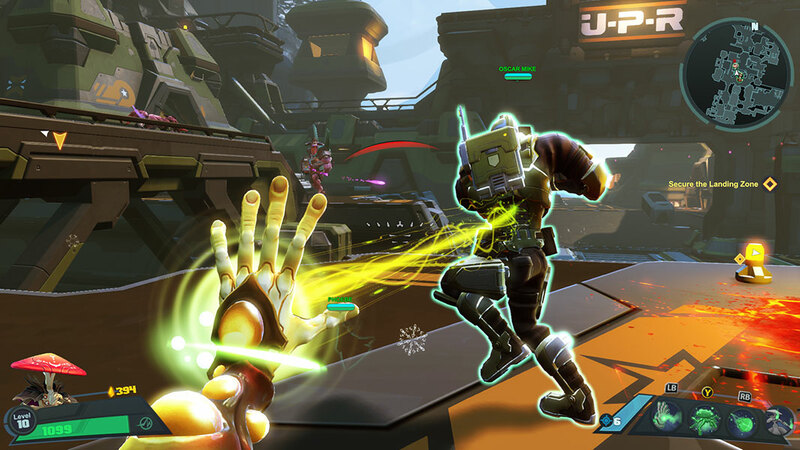 •Helix System: Battleborn’s accelerated character growth system allows players to level-up a character from 1 to 10 and fully experience each hero’s unique weapons and powers in a single story mission or multiplayer match.